Shopping for Hunger Games Apparel? 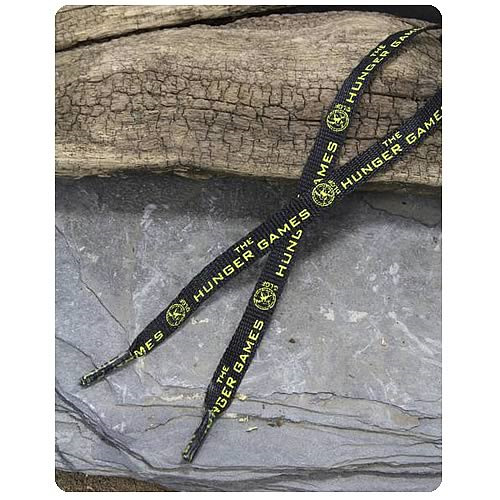 Feel the soil beneath you cower in fear while you wear the Hunger Games Movie Logo Shoe Laces! Black with yellow print, these shoe laces are standard in size, and can be used with most shoes. The Hunger Games Movie Logo Shoe Laces are packaged in a clear plastic cylinder container. Ages 14 and up.